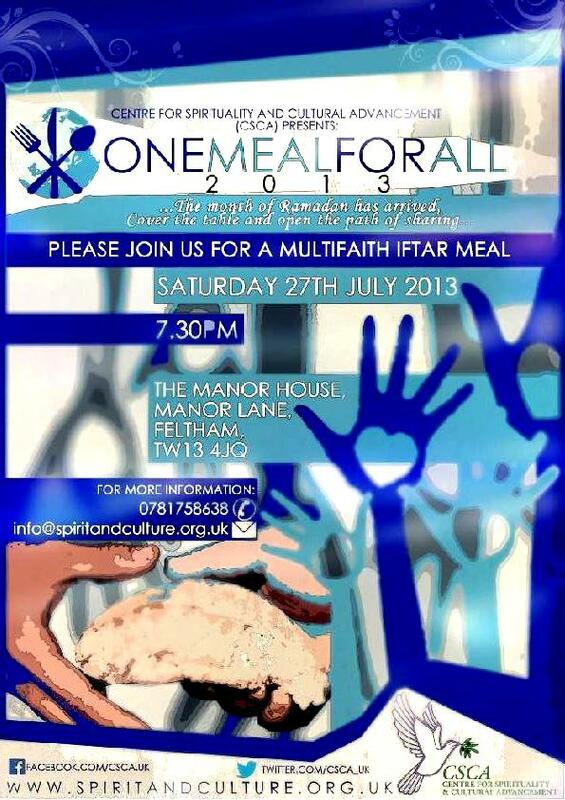 Saturday 27 July at 7.30 – 10pm at Manor House, Manor Lane, Feltham, TW13 4JQ. Find all the details on the two flyers here and here. If you plan to attend, please contact Farzana Kosar in advance at farzana@spiritandculture.org.uk. This entry was posted in Hounslow and tagged iftar by Catriona Robertson. Bookmark the permalink.